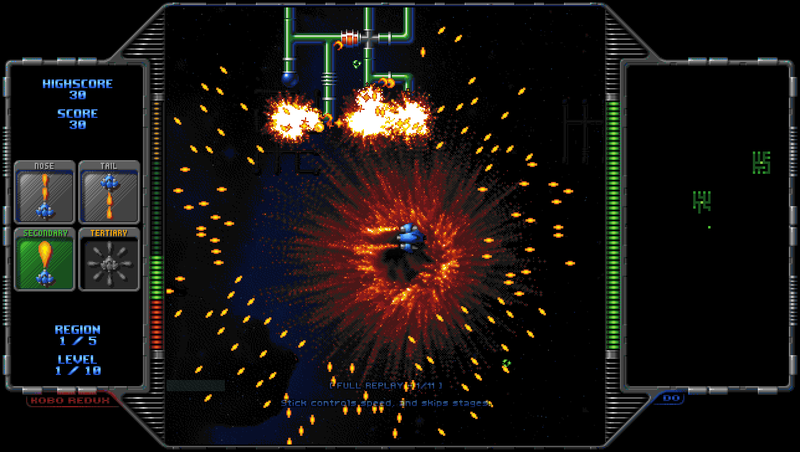 Kobo Redux is a frantic 80's style 2D shooter, inspired by the look and feel of 90's arcade cabinets. The gameplay is fast and unforgiving, although with less of the frustrating quirkiness of the actual games of the 80's. A true challenge in the spirit of the arcade era! 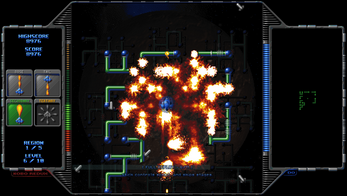 First, inspired by Bosconian, there was XKobo, a multi-directional scrolling arcade shooter, where the primary objective was to destroy maze-like hostile space bases, while they were hurling bullets, missiles, and ships in your general direction. Kobo Deluxe brought this addictive little game to basically everything with a CPU, and has had incredible numbers of downloads on various platforms. It is also included in many Linux distros. However, the project was never quite finished, and the game mostly served as a test bed for other little projects, such as glSDL, and the unnamed sound engine - a precursor of Audiality 2. 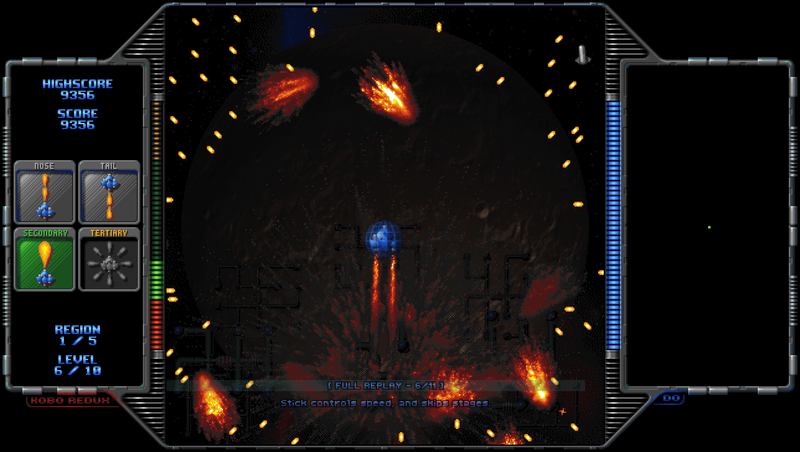 Now, with smoother controls, improved gameplay, a bit of physics, new pixel art, and a proper soundtrack, Kobo Redux aims to be the XKobo update that Kobo Deluxe never quite became. Improved chances of updates and more games actually happening! 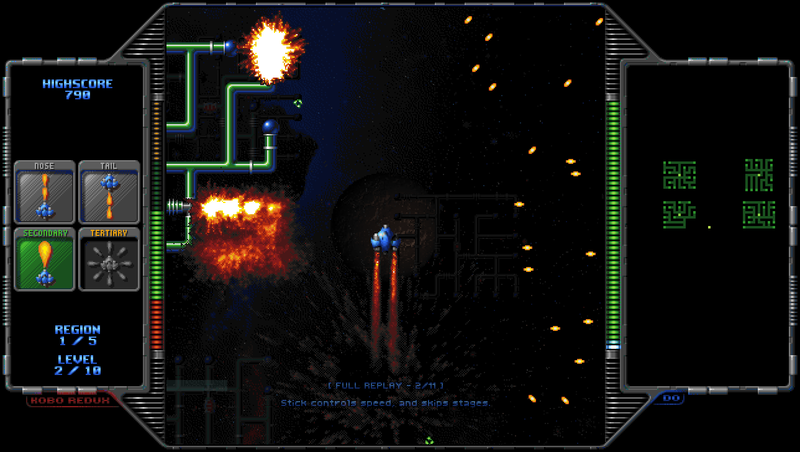 Kobo Redux has been Greenlit, so you'll also get a Steam key eventually. 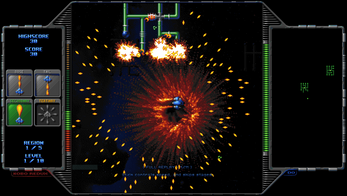 In other words, while the Kobo Redux media is proprietary, the full game source code is available under the GNU GPL (some files are under the GNU LGPL), and relies only on portable Free/Open Source technologies, such as SDL and Audiality 2. The game is fully playable with the included non-proprietary media. That is, it is entirely legal to fork the game code and the included free themes in order to develop different versions, or new games, as long as the original licencing terms are not violated. If you've previously purchased Kobo II, you get Kobo Redux for free! You should have received an email with a download key. You think you've seen explosions? Me, thinking I could compile and build the source, couldn't. May I have an in-depth tutorial? I have no clue what to do. Am on Windows 10. As I don't actually build the Windows version on Windows, I can only give some rough hints here, I'm afraid. Your best bet is probably to use MinGW, as that is essentially the native version of the toolchain I use for crosscompiling. You'll also need CMake to use the existing build scripts. Once you have that installed, you'll need SDL 2.0 and SDL_image 2.0 development libraries, and dependencies, and then you'll need to build and install Audiality 2. As for the build process, there are some hints here, although aimed at Un*x systems and similar. Thank you, kind sir. I hope to see more from you. I loved Kobo Deluxe, and am hoping to see even better when I build Kobo Redux. Question: Do I put the SDL 2.0 libraries and the Audiality 2 build in the same directory as the Kobo build? Thank you! I hope you'll enjoy the new developments. The build scripts expect both SDL2 and A2 to be properly installed in the development environment, like any other libraries - so the typical procedure is to build and install SDL2, then build and install A2, and finally, the game. I assume I build the c files with gcc and the c++ with g++? Howdy, I bought Kobo 2 back in like 2012... I just bought this version too, I don't mind paying twice, but a Steam key would be great! What became of Kobo II? It was promising. There will be another 0.7.x release, but then I'm focusing on 0.8.0 and Steam, which means new levels and upgraded enemies. The game logic code needs major refactoring, and it has legal issues. Rewriting those parts takes care of both. I'll open up Steam Early Access as soon as 0.8.x is reasonably playable. 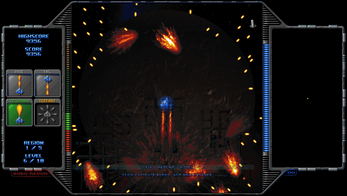 As to Kobo II (working title), I started running out of time and resources, and I realized I'd have to strip it down to something quite generic and uninteresting to be able to finish it at the time. So, I put it on hold, replaced the contract work with a job, and started working on a smaller project: Kobo Redux, which is also much more similar to XKobo/Kobo Deluxe in feel and gameplay. However, I've kept working on Audiality 2 (sound engine, also used in Redux) and EEL (scripting language, used for some tools for Redux; may be used for GUI and high level logic in Redux 0.8.x), and I intend to update the Kobo II tech preview, and release it with full source code in the near future. After finishing Kobo Redux, I'll look into reviving Kobo II - probably under a different name, as it's really a different subgenre, which doesn't appeal to all Kobo fans. Audality is awesome, I like the SFX it generates. I'm an audio guy, it'd be super cool if you made a GUI for it so people like me could play around with it's values. I'm always willing to pay for decent sound tools! It sounds like it's a flexible sound engine, I like the fact that the SFX are generated on the fly. Thanks! A2 is a modular synth with realtime scripting (with A2S) - which at this point, is the only user interface. (Documentation in progress: https://github.com/olofson/audiality2/tree/master/doc ) The idea is to cover everything from virtual instruments through sound effects and streaming with a single architecture, in order to eliminate the traditional distinctions between these fields. A2S was never really intended as a "music language," but that's how all music for it so far has been authored. Dynamic/interactive music would seem like the obvious next step there.